Time for Magnificent 7th again (well I am a day late) and today we are looking at celebrity inspired outfits. I am never one to be inside the box and the celebrities that inspire me are all kind of crazy but one lady I do love who should inspire all fashion lovers is Frida Kahlo. Frida was never afraid to dress differently not caring if her outfits clashed. If her flowers in her hair were too big or what the world thought of her. She spoke about being fearless and bizarre and embracing difference in each other. This was displayed in her fashion. 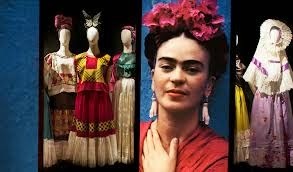 Frida did not fear bold prints, statement necklaces and her wardrobe is still famous years after her death. Only recently opened as displayed to the public after being locked away for years. 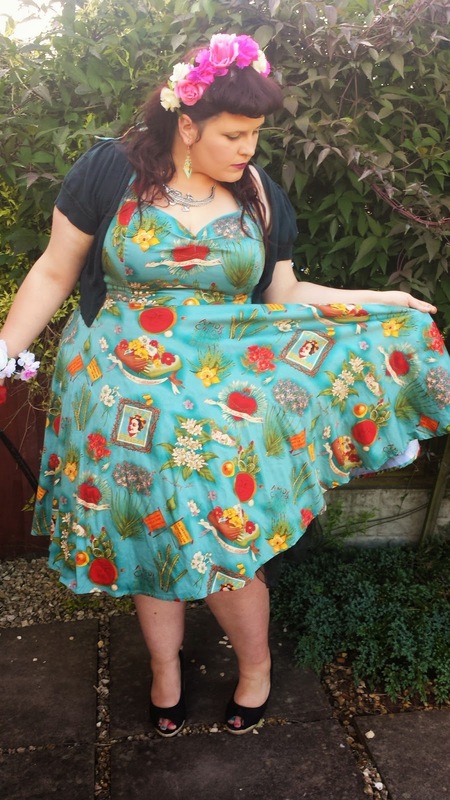 I have had this dress for some time now and been meaning to blog about how much I love it and now is the perfect chance. This beautiful print made me fall in love with this dress the second I saw it. The aqua green and bold prints even Frida would have been drawn to this. I got this in the sale from Very Cherry Retro it is made of a luxurious thick material and beautifully made. It is also really comfortable to wear. 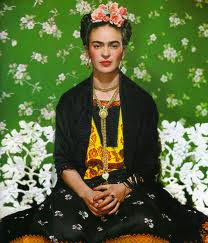 Frida loved her accessories too and flower crowns always make me think of this Mexican diva. 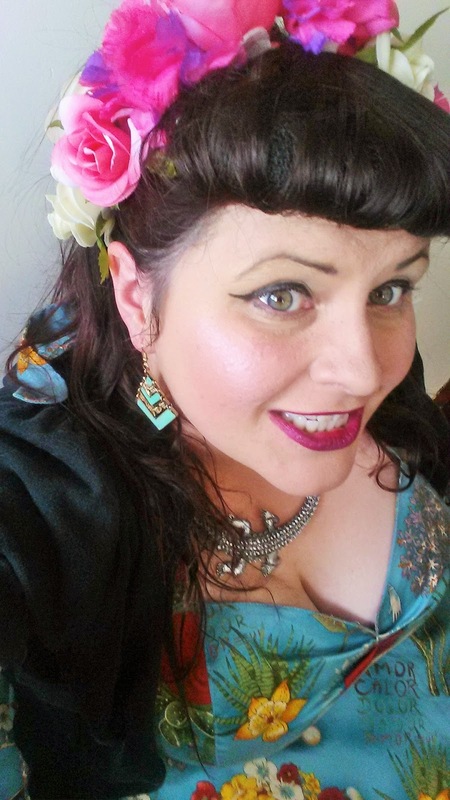 I got this one from Primark, The necklace is from an up and coming jewelry store Kitty Boo's Boutique*, The ear rings are from New Look. I teamed it with a little shrug and wedges from New look. If only I had a shawl to really bring the look together. 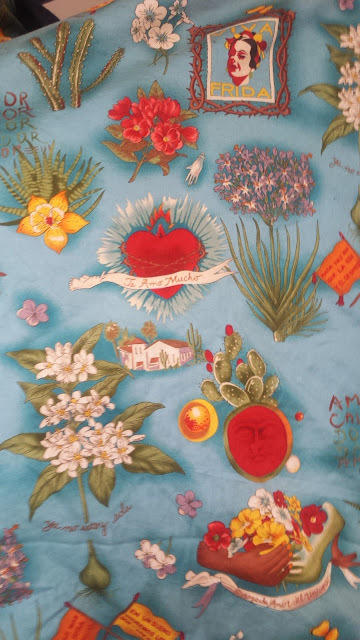 What do you think of Frida Kahlo's style? Check out the other beautiful ladies and their celebrity looks and don't forget to follow me on Facebook.